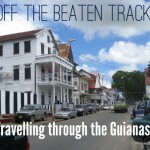 This post is a continuation of off the beaten track – travelling through the Guianas part 1. 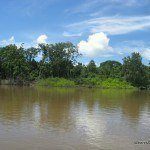 You can read about where we went in the Guianas, overall information about the Guianas and things to do in Guyana and Georgetown in that post. 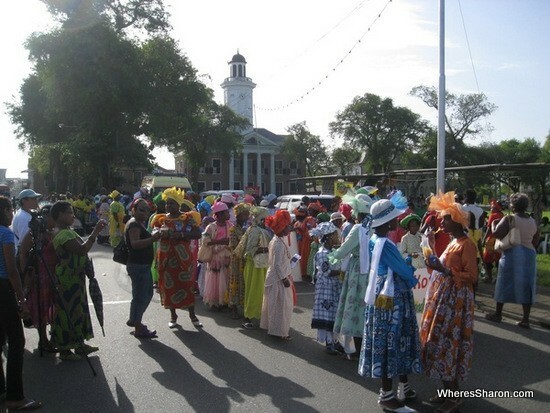 What do you know about Suriname? Suriname was a Dutch colony before it became fully independent in 1975. 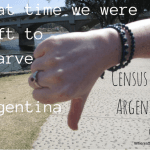 It is relatively stable now, but they have had a few coups and experienced military repression. Periods of economic instability in the 90’s led to problems, but the Netherlands stepped in with increased aid and that has helped stabilize the economy. Suriname has many protected National Parks, the largest being 1.6 million hectares, and they are making an effort to promote ecotourism. The cultural make up is similar to Guyana but, being a Dutch colony, there is also a substantial population from Indonesia where people also came over as indentured workers. 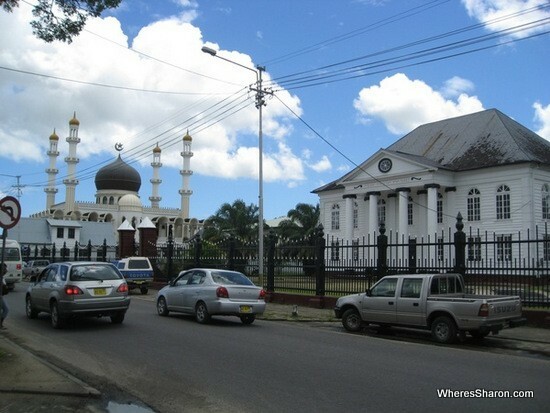 Unlike Guyana, Suriname is known for its racial and religious harmony and Paramaribo takes pride in the fact that they have a synagogue and a mosque sitting side by side without any problems. Paramaribo, the capital, had a very different vibe to Georgetown. We found the cultural mix to be much more evident here than in any other place we’ve been to in the Caribbean. More than Guyana, and certainly much more evident than somewhere like Port of Spain in Trinidad. It is reflected in the signs on shops as well, many are in Dutch, many others in English, some are in Chinese and some are in Hindi. No one group or culture dominates, it feels like one of the most mixed and heterogeneous places I’ve ever been. 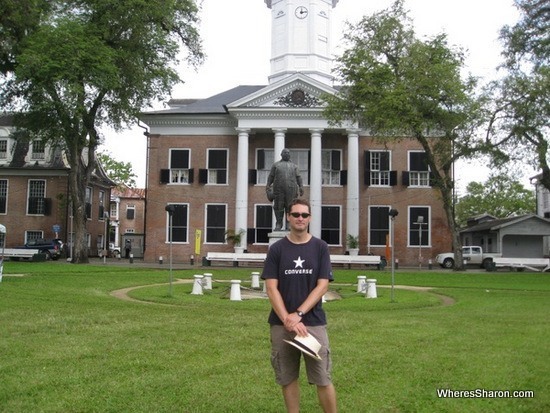 We needed a visa to visit Suriname, which we had picked up in Trinidad a couple of weeks beforehand. The journey to the capital, Paramaribo, from Georgetown was a long one. We paid for a transfer through a tour company, so the details were taken care of for us but it still involved several minivans and ferries. The journey from Georgetown to the border was along a narrow strip of coastal lowland that holds 90% of Guyana’s 768,000 person population. The road was a continuous row of towns with barely any strips surrounded by forest instead of houses. The towns varied from looking quite nice and well off to run down and full of trash. 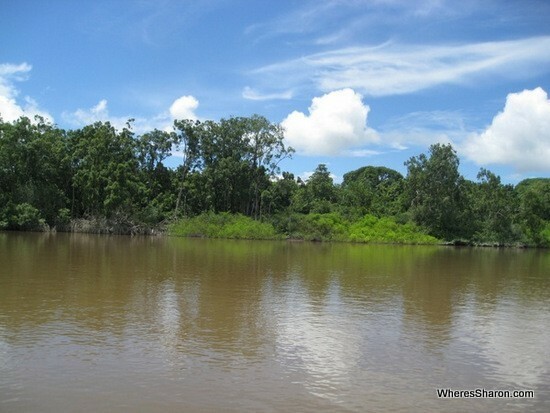 To cross between Suriname and Guyana, we had to get across Corentyne River. At the time that we did the crossing, there was only one ferry a day across this river. It felt quite adventurous, with jungle lining the river banks. 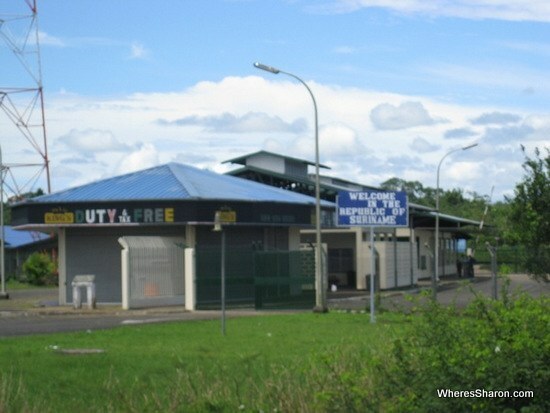 Both border posts were straight forward, and on the upside, the Guyanese side had the cheapest duty free alcohol we have ever seen. Paramaribo is a pretty city. The inner city is a UNESCO listed world heritage site and it is a lovely place to walk around. It has a population of only 220,000 and although some sections of the city feel quite alive (except on Sundays when the whole place feels dead), many parts are pleasantly people free. The streets are lined with lovely colonial age houses and trees. Everything seemed well maintained and the streets were clean and litter free. Paramaribo had a very mellow, relaxed feel. To me, it felt like a larger country town back home. It could be the nicest capital city on the continent. 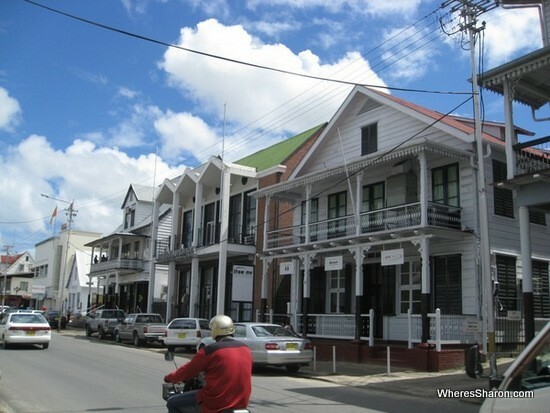 Like Georgetown, I don’t think there are any must do attractions, although there are quite a few things to do in Paramaribo. We spent three whole days here which was too long. Two days would be plenty. Here are some suggestions! Independence Square is a good place to start your wanderings. This square commemorates the country’s independence and freedom from the Dutch. It is a big open area surrounded by some pretty buildings including the Presidential Palace. Nearby is Fort Zeelandia, a fort built in the seventeenth century when the first colonialists arrived. It is home to a museum with Dutch signs, so we did not go in. 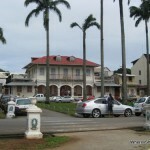 It is a nice site by the Suriname River and had some nice restored buildings nearby as well. As mentioned above, a famous site in Paramaribo is a synagogue and mosque sitting side by side. The quirks of colonialism and immigration have resulted in Suriname having many Muslims from what was once the Dutch East Indies as well as India. There are also many Jews who fled persecution from other parts of the Americas and Europe – thanks to the Dutch being amongst the most tolerant of the European nations. With typical Dutch and now Surinamese tolerance, the two faiths sit adjacent to each other on the Keizerstraat. The mosque is said to be the largest in the Caribbean and it is quite grand. The synagogue is simple, but also quite pretty. They both looked to be busy on the day that we came by. 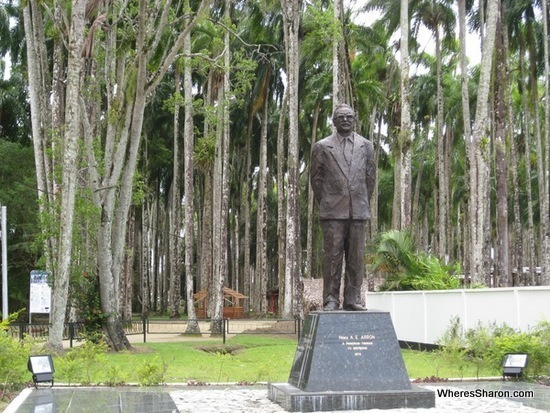 Another thing to do in Paramaribo is visit Palmentuin, the city’s public park. The park had many very tall palm trees which gave it a unique look and many little shelters, some of which had homeless people sleeping in them which didn’t make us feel too comfortable. There was also many young couples who obviously came to the park for some alone time. On the tongue twisting named street of Zwartenhovenbrugstraat, you can find the main shopping district. With lots of modern fashions and clothes at prices only black market rip offs can supply, Paramaribo is said to have some of the best shopping in the Guianas. It’s a cool spot, with lots of chic shops and coffee houses, and lots of energy. There is also a vibrant city market. Paramaribo sits on the edge of the wide and impressive Suriname River, from which the country takes its name. You can walk past a boatyard and dock; where there were many small ships serving as water taxis to the other side. There is also some nice stalls and seating areas by the river where you can eat some dinner and have some of the national beer, Parbo. This is a great thing to do in the evening. 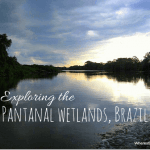 This post is the second part of a three part series on travelling through the Guiana. 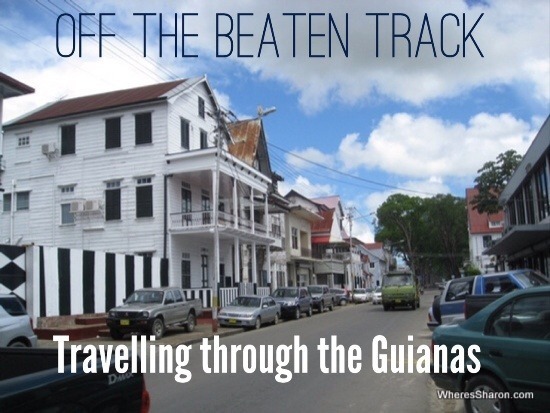 You can read the first part about general information on the Guianas, the route we took, Guyana and things to do in Georgetown. 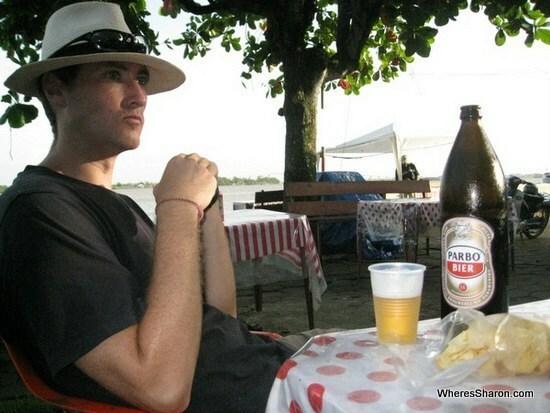 You can also read the third part about French Guiana, as well as give our overall opinion of travelling in this part of the world. 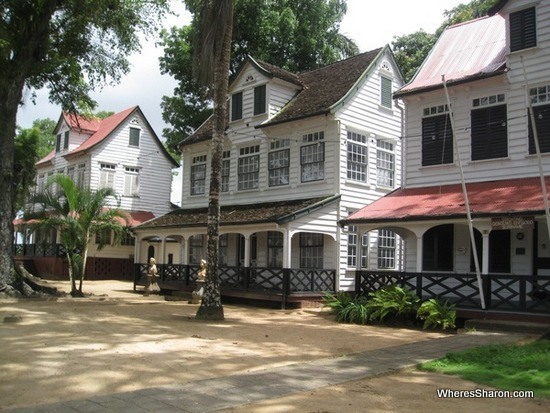 Would you be interested in travelling to Suriname? Thanks to a Latin American history class in university I had heard of Suriname before but until now I’ve never heard of a anyone who had travelled there before. Now I’m motivated to go myself! It looks so beautiful and peaceful.